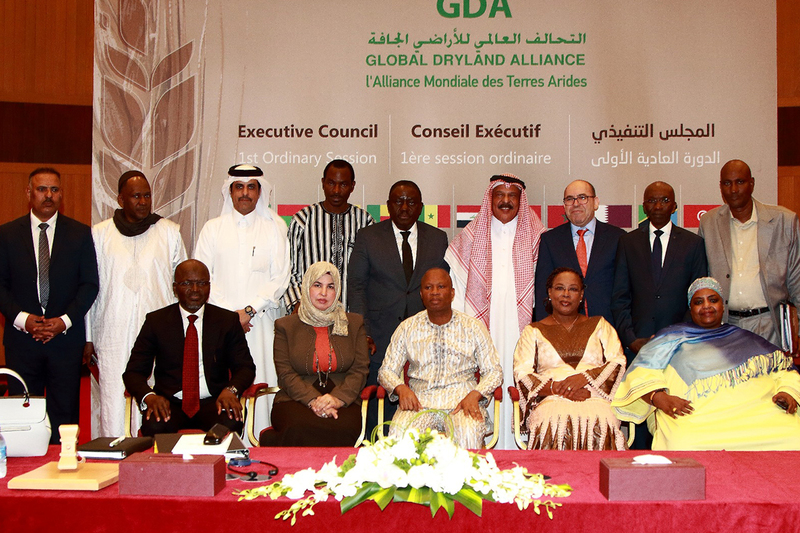 The Global Dryland Alliance (GDA) held the first ordinary session of its executive council in the presence of ministers in charge of environment, agriculture, food security, livestock and fisheries on February 19 in the Sheraton Doha. The session discussed the report of the Executive Director that includes the achievement of the organization since its inception last year till the current session and the host agreement of this international organization in Doha. Also the executive council deliberated over the action plan for the upcoming period. Among the key issues raised during the session are the procedures required to ratify the convention on establishment and accession to the organization, approve the administrative and organizational structure of the Alliance secretariat, and agree on the diversification of financing sources and adopt the innovative financing mechanism. On the sidelines of the meeting, GDA Executive Director, Ambassador Bader al Dafa said the current session of the GDA Executive Council will draw a roadmap for the Secretariat efforts, through a set of resolutions that, once implemented, will kick off the actual work of the organization. Ambassador Al Dafa has revealed that many countries and international organizations have expressed their intentions to join the Alliance as members or as partners. This reflects a growing international interest in the Global Dryland Alliance. It is worth noting that the Global Dryland Alliance has concluded its foundation conference on October 15, 2017 in the presence of 11 countries from the Middle East, North Africa, Sahel and Arabian Gulf, who signed the convention on establishment. The Global Dryland Alliance aims to find sustainable solutions for the problems of food security in its Member States, exchange knowledge and provide assistance in times of food crises. The Alliance also aims to establish innovative methods to develop international cooperation with partners on the local, regional and international levels to explore and disseminate solutions to face agriculture, water and energy related challenges in dryland countries.